Note: Normally, the Huntingtonian provides very specific details in our stories. In this story, we make reference to homeless shelters, sober houses, and other homes that are owned by the Town. Because of the delicate nature of the situation and because children are involved, we have decided not to release the addresses of these dwellings. We do know the addresses and are currently working with the proper authorities to work toward trying to protect these children. The Huntingtonian made the charge that the current Town Council members participate in systematic examples of discriminatory practices and we believe that they don’t have the desire to improve the situation for Huntington Station residents. We don’t believe that they intend to take the necessary steps to improve the quality of life and safety around certain parts of Huntington Station. We can only speculate why they choose to leave things in a state of disarray around parts of Huntington Station. We promised to provide specific examples of how housing policies, lack of code enforcement and mismanagement of funds assisted in the escalated crime levels in the area and the eventual closing of one of our Town’s public schools. We would like all levels of Government to take the necessary steps to help improve the quality of life and safety of all Huntington residents by addressing the issues that caused some to push for the closing of The Jack Abrams School. Last week we provided one specific example of how, under the leadership of Frank Petrone, the current Town Board’s policies and lack of sincere concern, have failed the Huntington Station community and in turn failed all Huntingtonians. A fortune of money has been spent on disingenuous Legislation to supposedly improve the quality of life for Huntington Station residents. The Huntingtonian will have a full report on this charge in another article. We believe the discrimination of Huntington Station and specifically the community around Jack Abrams school is intentional. It is very easy for politicians to blame the members of the community for causing their own problems, this is simply untrue. Unfortunately, they exploit racial stereotypes, which again is a story for another day. We are trying to explain each layer of this complex issue in the hopes that Huntingtonians will understand and realize that it is the responsibility of all of us to take a stand against the injustice of racial discrimination and exploitation of people who have less money and power. Last week we provided one very disturbing example of how the “rules” seem to be very different in Huntington Station than they are in other parts of the town, although we urge all residents to pay close attention because the violations are rapidly spreading throughout our Township. You can’t expect one community to be discriminated against for 4 decades and bullied into absorbing and solving every challenge and need for the entire township, and not expect that there will be eventually repercussions to those actions. This is how we got to where we are today. Supposed Housing Advocates came out in droves to push Avalon Bay and its high density on the residents of Huntington Station. Most of those who publicly supported Avalon Bay were Town appointed agencies and other groups that were encouraged by Frank Petrone to do so. The vast majority did not live in the area. At the same time Kennsington Estates, a development to be built in Cold Spring Hills, was going through the building approval process. No affordable housing groups came out and demanded affordable housing in that development, why was that? We do know that Robert Fonti was somehow involved with the Kennsington Estates deal. The Town Board voted to preserve land next to Old Field Middle School is the Harborfields schools district. They discussed how it is a quality of life issue to preserve this open space and wanted to take particular care because it was next to a school. 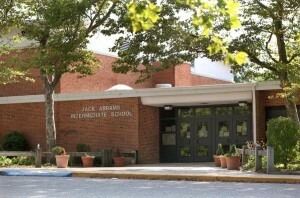 We agree with that reasoning and don’t understand why the same line of reasoning didn’t apply to the Jack Abrams School. During the same time period, they purchased a parcel of land in the Jack Abrams School community, there was no consideration of making it a park or something else for the residents to enjoy. They downzoned the property to allow for16 units of housing. Very perplexing since there are many hosues for sale on that same block for less than the proposed price of these “yet to be built” 16 units. This property is now added to the growing town owned housing stock, that has been removed from the tax rolls. There was a proposal to downzone the corner of Rte. 25A and Centerport Road, Susan Berland voted no to the resolution and she stated it was “too much density for that community”. Susan Berland voted yes to downzone the 26 acres for Avalon bay that would amount to higher density per acre than the property in Centerport. The buyers of the property of the former golf course on Ryder Avenue, which is near Susan Berland’s house, wanted to build higher density housing. Susan went out of her way to stop it, but supported Avalon Bay. The Town fought against a housing development in Melville called Ruland Road. They used our tax dollars to demand that the proposed development be only one bedroom and studios with no low income housing on that property. They said 1 bedroom and studios would eliminate the school from getting over crowded. Avalon Bay will have many three bedroom units, which was pushed by the town. Frank Petrone wanted section 8 included, which was later removed from the proposal due to too much outrage. Huntington Station currently absorbs 80% of all the affordable housing for the township yet they only make up 20% of the population of the Township. Why are Huntington Station and School District 3 residents constantly asked to do more? There are 4 homeless shelters in the Huntington Township, we believe they are all in district 3 and in close proximity of the Jack Abrams school. Imagine trying to open a homeless shelter next to another school in our township? It is inappropriate to have a homeless shelter next to any school, why should the Huntington Station residents be expected to absorb 4? When builders build in the Town of Huntington they are supposed to provide 20% affordable housing. The Town has set up a loophole where the builders can pay into a fund, instead of building affordable housing in a specific community. This affordable housing trust fund, as it is called, is then used to build in other parts of the town. Any guesses where the majority of the building and the taxing on the infrastructure happen? Investigation of the Affordable Housing trust Fund has been quite eye opening and will be a story for another day. The Town of Huntington seems to be investing more and more in the real estate business. We are not sure why a municipality would be purchasing so much property, especially in this economy. Once they purchase property, it is removed from the tax rolls. Every property that the Town owns, that has school aged children in them, are in the Huntington School district or in Huntington Station . In other words, the town buys property, arranges for children to live in them, removes the property from the tax rolls, and expects the residents in SD 3 to pay to educate these kids. Most of these homes are in close proximity to the Jack Abrams school. There are several unregulated sober houses, they are all in the vicinity of the Jack Abrams school. Imagine putting sober houses next to a school. Where else in this township would that be tolerated? The vast majority of homes where the section 8 programs is being abused are in the community around the Jack Abrams school. We believe this is because the slumlords know that this abuse would not be tolerated anywhere else in the town. These are a few of many other outrageous examples of what caused the eventual closing of the Jack Abrams School. In order to get that school to reopen for children, we need to work together to end the discrimination of the school district 3 community. We can do better to provide for those in need and at the same time provide a good quality of life of all Huntingtonians. This, along with the recent news from the town assessor that the assessed valuation of taxable property in the district has fallen yet another $418,000 since last year, does not bode well for the financial health of the Huntington school district. As the statement from the district verifies, this puts upward pressure on our tax rate. The more the town takes properties off the tax rolls, the more the rest of us have to pay just to maintain what we have in the district. Either we pay more to make up the difference, or the district makes yet more cuts to make up the difference, or the district uses some fund balance to help take off the pressure. Enough already! Thank you all at the Huntingtonian for bringing to light exactly what is happening in our town and the effect it has on our schools. Your “Jack Abrams” series has been excellent so far. Thanks for your comments. We wish we could write more happy articles but until something changes we will continue to do these investigative articles. There are a lot of people who do not realize what has happened in their Town. We hope that we can help make sure there are less of them.